Just when you think those endless sleepless nights are a thing of the past, when Starbucks can once again be regarded as a treat and not a medical necessity, you are awoken suddenly by your screaming toddler. You run into his room to see what could be going on only to learn that he needed, in that exact moment at 2:00 am, to tell you that rocks in fact do not make good pets and that he loves you. You walk back to your room smiling and giggling a little at the active imagination of your little one, but that wears off quickly as these night wakings become a regular thing. You find yourself shuffling off to your child’s room countless times throughout the night as they scream for you, to tell you they need the bathroom, to have you check for monsters under the bed, to tell you about that thing that happened at camp today, or to ask you to sit or sleep with them (just for a few minutes Mom!) or to tell you that at 3:46am they have all their energy and do not need to sleep anymore. Read more! If this sounds all too familiar rest assured that you are in the same boat as many other parents with toddlers. While there is no scientific reasoning for why this happens, it is commonly documented that around the age of 2 many toddlers experience a sudden increase in night wakings. If you have ruled out any medical reasons that could be to blame and still are missing those precious zzz’s then take a look below at some potential reasons why your little one may be waking up and for some potential solutions to try. No one actually sleeps through the night. Our night’s sleep is actually comprised of several sleep cycles. For a toddler these sleep cycles last around an hour or less. Most kids wake up, albeit briefly, at the end of every cycle. The trick is making sure that they are able to put themselves back to sleep-on their own. If your child is not able to put themselves to sleep on their own that could be a reason why you are getting woken up every few hours. Solution: Establish a consistent bedtime routine at an early age and make sure that the final steps of that routine (the final moments before your child goes to sleep) are things that can be recreated in your absence. For example, rocking or nursing your child to sleep is something that cannot be recreated without you. If your child becomes dependent on these activities to go to sleep then they are likely going to need you to help them go back to sleep if they wake up throughout the night. Have the goal of your nighttime routine be for it to end with your child in the bed awake but drowsy so those final moments of dosing off to sleep are done on their own. At this age our little one’s imaginations are very active which can be a wonderful and usually very entertaining part of development. The problem is when those active imaginations are set free in a dark, quiet room and visions of monsters and creepy crawlies start to take over. Solution: One approach here is to fight an over active imagination with an even more active imagination. Have your child help you create a monster potion (made of warm water in a spray bottle) and before bed time go around with him/ her and spray this potion anywhere monsters may creep in. Place the potion next to the child’s bed for a sense of security throughout the night should a monster manage to creep in. A nightlight, cuddle buddy or flashlight kept on the nightside table are also some good strategies to help your little one rest a little more soundly and bravely! The concept of time is very abstract for a toddler. During the toddler years, time is a very difficult concept to grasp. Children typically understand that dinner time is for eating, play time is for playing and nighttime is for sleeping although the numerical times like 8:00am, 12:00pm mean nothing. So when your little one wakes up at 2:00am full of energy they may think that nighttime is done and playtime is here. When you try to explain that it is still nighttime because it is 2:00am that often does not provide them with a sufficient answer they can grasp and instead leads to lots of debate (…but I’m not tired!). Solution: Visuals are a great way to help your little one get a better grasp of time. Whether it is a visual schedule outlining the day’s events, or a more specific visual depicting bedtime versus morning time, these can be a great tool for any parent. One great resource to use is programmable visual clocks for kids. With these clocks parents can set the time they want to set for bedtime versus morning time. One visual (like a specific color or a farm animal laying in a bed-see photo) is displayed for bedtime and then when the time that the parent set as morning time approaches the visual independently changes to cue the child that it is morning time (the animal is shown dancing outside or the color changes). This was a HUGE help for me with my own kids. Now when your child wakes at the middle of the night you no longer have to try to debate or explain why you should be in your bed at 2:00am and rather just refer to the clock-“Look Emma the cow on your clock is sleeping that means you should be sleeping. When the cow wakes up you can get out of bed”. Ever plan a super fun packed day where you and your little one are on the go all day long and there isn’t even time for a nap? You go to bed at night thinking that your little one will sleep like a log-but the opposite happens and your tot is up all night long. The truth is sleep deprivation can be one of the main causes for restlessness at night. 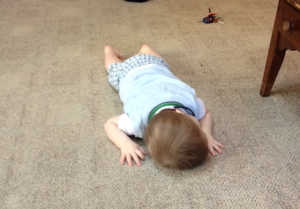 This can be very trying during the toddler years where their new found independence and imagination takes center stage and the want/ need for them to nap starts to become a thing of the past. Solution: More sleep! 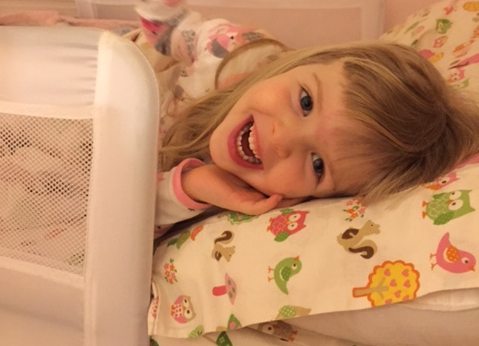 Toddlers require about 12-14 hours of sleep. Many toddlers divide their sleep between a solid night’s sleep and one nap lasting 1-3 hours. If you child requires a nap then it is important to factor time in for this during their daily schedule. Having naps happen at the same time every day sets a predictable routine that the child can adjust to and makes nap time more likely to be successful. The tips mentioned above including the programmable visual clock to cue when the child should be sleeping and establishing routines around naptime that end with the child falling asleep independently still apply here. If you and your child have decided that a nap is no longer needed it still is a good idea to schedule in some quiet time in place of where naps usually happened. Quiet time gives children an opportunity to take a break from running around and rest a bit with quiet and relaxing activity. Good quiet time activities include books, puzzles, felt boards, some arts and crafts, etc. This gives the child an opportunity to rest for a little bit before it is time to kick it back into high gear. If they are really tired this may be a time for them to realize that and opt to take a short nap. If the above scenarios don’t seem to apply and you are at a loss with why your little one’s night wakings persist, here are some questions to ask yourself and will possibly help you arrive at a solution. Do your child’s night wakings result in some special 1 on 1 attention with Mom or Dad that is not available to them throughout the day? If the answer is YES, try to make sure there are opportunities throughout the day when your child can get this attention that he/ she is craving and be sure that you limit the amount of attention you provide in the middle of the night. Just a quick redirect back to bed and pat on the back is all they should get when redirecting back to sleep. Does your child appear to engage in night wakings to get access to getting into your bed or getting out of their own bed? If the answer is YES, then you know what needs to happen next! This is the time to stand firm on your decision to have your child sleep in his/ her own bed. If you put your child to bed in their room and they wake up repeatedly at night until you finally get so tired that you agree they can cuddle up with you then it may be time to put an end to this once and for all. It won’t be easy and may result in a few restless nights for you and your little one but these few restless nights are a small price to pay for getting your full nights sleep back once and for all! If this is a scenario you can relate to them it is time to switch things up. While rewarding good behavior-like sleeping-is a good thing, you want to make sure it is on your terms and not just in response to some bad behaviors. Setting up a token board or sticker chart could be a great way to help your child understand what is expected of them at night and have a system in place to reward a good night’s sleep. Simply set a criteria or number of days of sleeping through the night that you think is realistic for your child to achieve in a short time period. Review the specific rules of what they must do to get a sticker (stay in your bed all night with a quiet voice, etc). Have your child help make the sticker chart and choose stickers or tokens that they enjoy like a favorite T.V. character or favorite color. Have them choose what they would like to earn once they fill in their sticker chart. It can be something small like a favorite dessert after dinner or to play a special game with Mom or something more tangible like a new small toy. Just make sure it is something that is motivating. Review the expectations every night before bed and if your little one sleeps through the night be sure to immediately reward them with a sticker to add to their chart and lots of praise. If they didn’t sleep through the night or meet the expectations laid out just review that in a calm way in the morning and leave it on an encouraging note “I know you can do this-let’s try again tonight”! Hopefully this article leaves you with some new ideas to try out, to get your little one back on track to sleep through the night, and help you return to some sense of normality-or at least a little more rested to deal with the day’s adventures! About the Author: Allison Genovese, M.S. ABA, BCBA is the Director of Early Childhood Programs for RCS Behavioral and Educational Consulting, which provides exceptional Applied Behavior Analysis (ABA) services to children with Autism and their families between the ages of 0-6 years old throughout the state of Massachusetts. 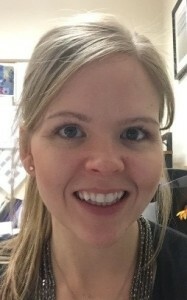 Allison is a Board Certified Behavior Analyst with over 12 years of experience working with children with developmental disabilities and their families. In addition to her training and education within the fields of Autism, Early Education and ABA she is also a Mom of 2 children ages 1 and 3. So you can trust this article was fueled by a large pot of coffee and combines both clinical and personal experiences! ‹ Give Your Family A Fighting Chance This Season!